What is digital history? The term has been coined since at least 1999 (Ayers, 1999) and was further generalized by 2005 (Lines Andersen 2002, Lee 2002, Cohen & Rosenzweig 2005). Broadly defined, digital history is “an approach to examining and representing the past that works with the new communication technologies of the computer, the internet network, and software systems” (Seefeldt & Thomas 2009). In other words, it describes historical inquiry that is based on primary sources available as electronic data, whether digitized or born-digital, and the narratives that are constructed through such inquiries (Lee 2002). The rise of digital history is in general perceived as the phase defined by the democratization of the personal computer technology, network applications and the development of open-source software (Thomas 2004, Cohen & Rosenzweig 2005, Graham, Milligan & Weingart 2015). With slight differences in periodization, medium-centered (e.g. relying on the use of the computer) genealogies see digital history at least partly as a descendant of quantitative and computational history, tracing its beginnings through the end of the 40s to the 60s (Thomas 2004, Graham, Milligan & Weingart 2015). Broader approaches insist instead on the heritage of public and oral history (Noiret 2011, Scheinfeldt 2014). Digital history participated greatly to the rise and development of the field of digital humanities since the mid-2000s (Schreibman et al. 2004, Kirschenbaum 2010, Gold 2012). 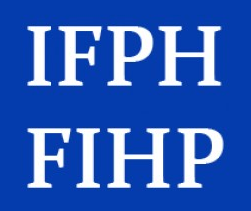 However, specific disciplinary objects, sources and approaches continue to be present within the connected use of methods and tools that takes place under the digital humanities big tent. A typology of digital history projects identifies three main fields: academic research, public history, and pedagogy projects, of which the last two categories are considered particularly specific to historians within the digital humanities field (Robertson 2016). We therefore propose to address digital history through this triple spectrum: academic research, public history, and pedagogy, in order to trace continuities and transformations in history as a discipline; and contribute to explore the broader digital humanities field through this case study. It is understood that scholarly research in history has been affected by the digitization of sources, methods and the environment in which research is conducted, produced and disseminated (Clavert & Noiret 2013). Nonetheless, there also seems to be a tension between the potentiality of digital history and the actual delivery of argument-driven scholarship (Blevins 2016). In the last two decades, a significant number of digital history projects have been elaborated and, furthermore, digital history has been institutionalized through the creation of specialized departments in several universities. We should then be able to identify the impact of mutations in the ways historical research is driven and communicated, on the one hand; the novelties in objects, methods and analysis tools, and the eventual issues they raise, on the other. In this sense, what is called the data revolution (Kitchin 2014) is one important component to take into account and to explore further. 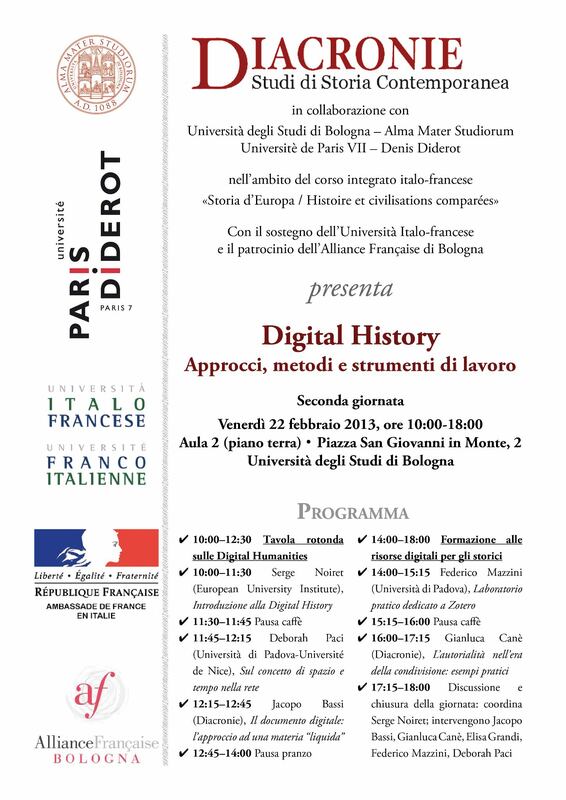 The massive production of digitized/born-digital historical data challenges historians’ existent approaches and methods of research and analysis, as recent debates on the longue durée approach have shown (Guldi & Armitage 2014, Annales 70 2/2015) or the transnational turn (Putnam 2016), just to mention a few. Moreover, it raises issues on how historians relate with present time and what their role is in digital preservation matters as showcase social media and other web-based ephemeral data (Webster 2015, Rosenzweig 2003). What is essentially at stake is inter-/transdisciplinary cooperation, even the dependency of history on input from other disciplines, whether from human, social or computer science (computational linguistics, visual analytics…), engineering, library and information science. Indeed, the use of connected methodologies as historians adopt new epistemologies (data mining and visualization, GIS, encoded critical edition), sheds light on the need to adapt historians’ literacy through the development of a shared culture with computer science and mathematics (Genet 1986, Lamassé & Rygiel 2014). Furthermore, the ecology of scientific data raises some important interdisciplinary issues related to their collection, storage, archiving, dissemination and the correspondent infrastructures. What kind of scientific sovereignty can be exercised once data storage and infrastructures are externalized, and what is its impact on access and sustainability of scientific research and its output? How can disciplinary needs for effective organization and description of historical information be met (e.g. specific ontologies) in a global environment of structured interoperable data? Moreover, old problems of biases concerning the access of primary sources are updated as the result of digitization and its possible impact on availability or, instead, underrepresentation of certain types of archives (Putnam 2016, Milligan 2013). Let’s consider, for example, the impact of institutional decision-making and constraints (such as financial ones) on the digitization of sources, new actors in the web ecosystem such as digitization companies, or even digital fractures and inequalities at national and transnational levels, just to evoke some of the most probable biases. Last but not least, one should not forget the biases that algorithms and software can generate during the collection and analysis of historical data. From a vast literature on the synergies between digital and public history (see Noiret 2011, Cauvin 2016), we chose to focus on topics that shed light on the blurred frontiers between public and scholarly history, especially the osmosis between scholars, cultural heritage institutions, private sector and citizens. From this point of view, we propose to explore three main thematic unites. First, ways in which technology is used in the cultural heritage sector in order to engage the public with history: uses of social media, augmented and virtual reality, development of tools for the public to explore patrimonial data and collections, game industry and history, private sector digitization and engagement with history… Second, historical memory and the way it emerges at individual, collective and institutional levels to show using facts the relation of people to history and the multiple ways the present affects the perception of the past. Finally, the documentation of present-time events that actually builds primary sources and archives for future historians: crowdsourced archives, social and political movements documentation (such as Spanish 15M, Nuit débout, Women’s March), political uses of technology (social media propaganda, institutional use of social media, political use of game industry as in the case of the Israeli-Palestinian conflict etc). How is authority conceived and how does the role of historian persist in such diversified multi-actor contexts? During the last few years, several digital history departments have been created in various universities in different countries. Furthermore, even in traditional history departments, teaching now integrates components of digital culture or associated skills. There are specialized tutorial blogs (The Programming Historian, La boîte à outils des historiens) providing for skill transfers between historians; digital transdisciplinary schools (such as the Digital Methods Initiative of the University of Amsterdam); an array of online services or/and software for one to easily explore and analyze data (Düring et al. 2011, Nodegoat, AnalyseSHS…). However, few systematic approaches allow to have an overall view of how historians get on with the digital transformations of their profession (Heimburger & Ruiz 2011) and even less from a transnational perspective. How are historians to teach digital history in these contexts and how are traditional and DH teaching articulated? What skills and methods do teachers need to develop for themselves, in order to teach them, and for their students to acquire them? How to better fit teaching to specific research interests so that students are able to acquire a method than simply become able to manage tools (Mahoney, Pierazzo 2012)? How are modules organized and how do students react to the teaching of digital history? How can a minimum skillset be defined in order to assure research of an acceptable quality and corresponding level publications but also a balance between a historian’s basic training and the acquisition of this skillset? Although there have been works developing the discussion (and solutions) regarding mainly the web resources (Cohen, Rosenzweig 2006), there is less focus on the ways interdisciplinarity is embedded in digital history teaching and even less on how to deal with born-digital data (e.g. social media data) use and analysis as primary sources for historians in specific modules. Oftentimes, when I mention that I study Digital History to people that are not working on it, I get questions on some computer tricks. Everybody wants to make things faster and easier, and there is an assumption that digital tools can bring (or should bring) a solution for almost everything. Doesn’t matter if the subject of study is “digital related” or not, if tools cannot solve problems, it can be misunderstood as if those “digital fancy things” are not really great for nothing in humanities/history realm. And, suddenly, these people interest seems to disappear. “If it has no utility, them we don’t need it”, at least, in the immediatist point of view. 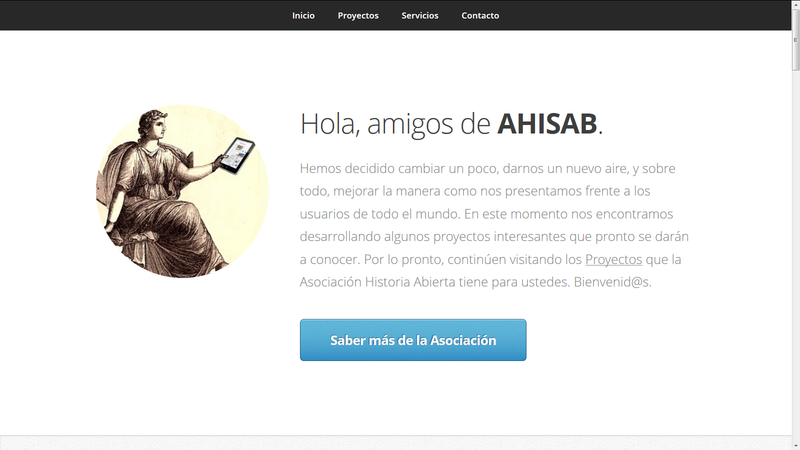 However, there are a bunch of tools that can help historians in their daily work. Of course, I don’t know all of them, and that’s why, many times, I feel unprepared to answer this kind of question. Anyway, before searching for a tool, one needs to know for what purpose she or he needs a tool. If you are not familiarized with what can be done with tools and if you don’t really know the needings of your own research, it might be not so useful, but you can always jump on it, look for some reviews on specific tools you like, search for online tutorials and play with it. It doesn’t mean that one needs to believe in some sort of technological solutionism, as criticized by Evgeny Morozov, and lose his/her time surfing the web endlessly, looking for the perfect tool, or trying to learn how to use it only for the sake of using it, because it’s hype. I believe it’s more about seeing the meaningful connections between the human and the machine work in one research, and try to figure out which kind of questions can be answered with this hybrid conjunction, mankind and computers, tradition and new technologies… Perhaps, it can turn out not only that is possible to answer X or Y question in a different way, favoring new approaches, but also be insightful for the proposition of new questions. It’s is not a matter of changing the whole tool box of historians for a very new brand digital thing. But how to associate what we already know from our craft to the assistance those digital things can give to us. One important exercise, is trying to not create a natural opposition between (digital) technologies and the humanists (and historians) work. Federica Frabetti has discussed the resonances of such complicated assumption in DH in her Rethinking the Digital Humanities in the Context of Originary Technicity (2011). After showing that the utilitarian mode of technology has been dominating the Western thoughts for almost three thousand years, as an Aristotelian heritage, according to Timothy Clark, she did a strong call for critical thinking on it. She emphasized the needing for questioning “the model(s) of rationality on which digital technologies are based” while importing it to digital humanities. Such reflection on the digitality, which I very much like, could hopefully show that technology and humanities are not separated, or opposed. Rather, they can be (are) complementary. Frabetti developed an interesting argument on it, bringing together different philosophical views on technicity/technology and knowledge. In dialogue with Derrida, she argues that “dissociation between thought and technology is – as is every other binary opposition – hierarchical, since it implies the devaluation of one of the two terms of the binary”. Thaller’s warning is a great north. However, a relative ignorance can make people be afraid of trying. As Andreas Fickers pointed out we need to be playful with those tools, use the digital without fear of taking risks, because research is about taking risks. As Claudine Moulin said in her opening words of this Autumn School the time for testing has come, but bear in mind Thaller’s reminder. You don’t need to avoid the tools because you don’t know them, dedicate yourself to understand it and learn something. If at the end of the day you do not find that it was useful to you, some knowledge will remain out of your tests. Maybe, that is not the right tool; maybe you will need to search for another one, or just other(s) to combine. Tools can also be complementary among them. You just need to understand what you need and try to find which (one, two or more) work better for your case. As Kemman also noticed in the same blog post: “While DH loves to develop tools, tools do not always reach their potential adoption by the target audience”. Apropos, Kemman and Martijn Kleppe presentation on user research in digital humanities (and its value for developing tools) at Benelux 2015, showed that “due to the many unique and out-of-scope user requirements, […] there is a tension between the specificity of scholarly research methods, and generalizability for a broader applicable tool.”. Moral of the history? First, know your needings and, if you do not know a tool, don’t be afraid to try it, one or more of them. Study it, learn about it, play with it. And, if you do not like it, or if you like but think it could work differently, search for alternatives. But, most important: share your experiences with other colleagues and, if possible, do write a review on the tools you have used. It must be useful for others like you and also for those who work developing it. But critically. And be happy! I hope the Digital Research Tool will be of help for some. 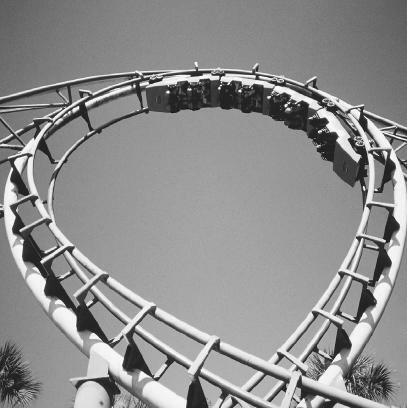 As all the new beginnings, this introductory post makes me feel a little bit self-reflexive. Looking at my life in the rearview, I would say now it is everything connected, from a very personal point of view. The first time I got interested in the subject of Digital History I was in Europe, more precisely, in Italy (where the above pottery is supposed to be found), for my first study experience abroad, at the Università Degli Studi di Firenze. Now, I am back to the Continent with another baggage experience, and a slightly better understanding of the importance of travels for our personal life stories, and (why not?) for the “big” History. I like that now, beyond be researching something that, I hope, will be useful to my colleagues working in the field of History in a near future, I will also be working directly with people, either because this project is also a public history project, either because I will be using oral history methods. Or, yet, because, afterwards, I hope my research can bring some effective contribution to the reality of so many people who have ever experienced what it is to be an immigrant. Well, it is actually bold to say that, but one can always dream (and I have some affinity with John Lennon). I say that because, in this PhD, the investigation about the consequences of digital technologies, new tools and methods for the historiographical operation is not the unique propose of my research. Now, in addition to the issues that I was already asking myself in the last years, partly present in my Master Thesis, completed at the Federal University of Rio de Janeiro, I got many new things on my plate, just to mention a few keywords: migration, memory, oral history, public history… and all the whole new worlds each topic can unfold to me. I am still familiarising with new literature and trying to find myself in this new scenario. I am curious and anxious to know what is to come. At the moment, the plan is developing a more detailed version of the research project Shaping a digital memory platform on migration narratives? A public history project on Italian and Portuguese migration memories in Luxembourg. I hope to have it done, including a research timeline and a well structure writing plan by the end of this first semester. In this meanwhile, there will be other posts here, but you are free (and I would be pleased) to send me questions, suggestions, critics or just a “hello/salut/moien!” at any time you like. I would really appreciate to receive comments and advice, specially in what concern migration History, Italian and Portuguese emigration/immigration to Luxembourg. So, please, don’t hesitate to leave a comment or writing me an e-mail if you have an idea (all ideas are good, until proven otherwise). Of course, all this novelty can be frightening, to some extent, but at the same time, it is so fascinating to have the opportunity to dive in a very different thing. Not to mention that I am changing too, I moved from Rio de Janeiro to Luxembourg Ville, I left my family, friends and cats, I am learning a new language, dealing with different weather, enjoying other landscapes, aromas and flavours… and this can sound hard, but actually it is way exciting! I have to grow up here, and this is probably the major challenge beyond everything. It is hard, but so good to go out of inertia. And, at the end, I think I am a lucky person: it is not so far from my family in Florence and, also for academic reasons, I have some very special people to support me in Europe at the moment. Perhaps I should apologize for the intimate tone of a post that is supposed to open a new tag on my professional life (oh, that sounded philosophical!). But as I will argue later about the importance of seeking certain hybridism on the combination of historiographical traditions with the new digital history, here too I think it is somewhat necessary to think about personal and professional life together. It’s so difficult to separate the “Anita-Anita” from the “Anita-historian”, it is everything connected. I hope you do not mind. I promise, next time, give less attention to my personal matters. After all, you do not want to know, for example, how I feel having to turn on the heater in October. As my ex-supervisor used to say, sometimes I just need to remember that words are to say something, not “to flourish” it. Thank you, Dilton! Also that lesson you taught me, but you also taught me to be rebel, and here I am. But I hope, for this first post, everybody will forgive me, even Prof. Dr. Dilton Maynard. *I could do anything unless remember Kavafis/Cavafy’s poem when I started to write this post, which in turn, reminds me of Professor Manoel Luiz Salgado Guimarães (for those who read Portuguese, see here), whose work, teaching and passion for history inspired me a lot. He show us – the undergrad students at that time – this poem in one of his last lessons, in his last course. I will never forget. And this inspiration is undoubtedly enough to give me the determination to face whatever is coming, in the better way as possible, with a good feeling in the heart, and seeing things with good eyes, keeping Ithaca always in my mind. PS: I have to thank my office mate Max Kemman for the brilliant idea of working with some music in the background. It was just perfect to finish this post listening to Caetano Veloso’s Transa, an album from 1972, when Brazil were under the military dictatorship, and Caetano had to spent some time in a political exile in London. Caetano was right, it is a long, long, long way. On April 10 and 11 at the University of Rome 3 (Dipartimento Fisolofia, Comunicazione, Spettacolo) the SISSCO, (Società Italiana per lo Studio della Storia Contemporanea), will hold an important academic conference about the role of contemporary historians confronted with Holocaust denial on the web. Should legislation be voted in Italy contrasting Holocaust Negationism? And, more generally, should History, when unable to build a firm culture of the past widely accepted in societies, be ruled by legislation? These issues have been discussed in many European countries; some laws aiming at governing legally the past and telling about politically correct memories and what exactly is the truth about the past, have been voted in France, in Spain, and in other countries. Professional historians are generally against the idea to force societies to adopt a so-called “correct history of their pasts” defined by law and, in France, a committee was born using its own very active blog to contest the idea that telling the truth in history could be enforced by the law: the Comité de vigilance face aux usages publics de l’histoire (Committee of vigilance on the public use of history) wrote a manifesto on June 17, 2005 against the “entrepreneurs of memory” and political uses or misuses of history. The debate has entered the public sphere in Italy too and the main association of contemporary history academic historians, Sissco, collected a “dossier” analyzing the press debate about holocaust denials and promoted an official petition signed by many contemporary historians against the use of the law in history: “Modifiche all’articolo 414 del codice penale in materia di negazione di crimini di guerra e di genocidio o contro l’umanità e di apologia di crimini di genocidio e crimini di guerra“. But the Holocaust of the Jews during the second world war is unique: should historians and the civil society accept that the Shoah be openly and publicly contested and denied and hate speech widely diffused through the Internet? Is it possible to use a penal legislation against negationist web contents published everywhere in the world and accessible also in Italy? Should the Italian legislator vote a law defending the truth against offensive, racist and anti-Semitic revisionist propaganda and condemn hate speech legally? These activities and also the academic conference promoted in April in Rome described below, are showcasing the direct participation of academic historians in the policy in Italy, what was in the early ’90 defined by Nicola Gallerano as being part of the “uso pubblico della storia”. Will these political and academic activities be able to maintain also for the young generation the awareness of what happened in Europe during WW2 and about keeping alive a correct memory of the holocaust using properly the web? 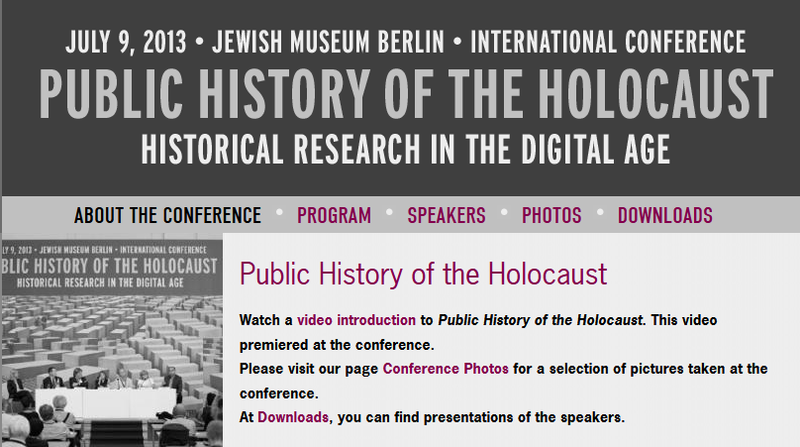 It is of course my opinion that academic conferences are important but are not enough and that we need to act in the virtual space and promote the digital public history of the Shoah and of other genocides perpetrated by the Nazi and their allies looking at how best presenting the evidences of the Holocaust and engaging different communities about these issues. 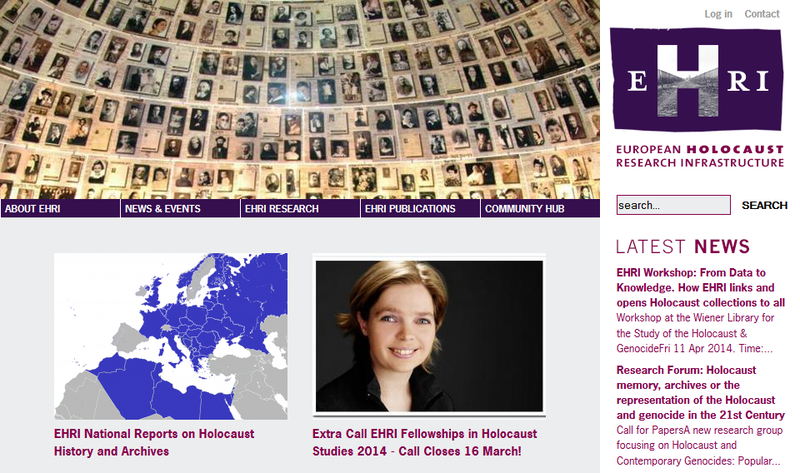 Building awareness of the past using a public history approach is being done by the ERIH project (European Holocaust Research Infrastructure) in Europe to support the Holocaust research community, provide access to the primary sources dealing with the Holocaust and encourage collaborative research in the field. What could be the role of public historians in maintaining a correct perception of what has been the Holocaust and engage with fighting negationism on the web? How could the web itself, and social media, in close contact with other public activities, fight back an aggressive negationist approach like what is diffused online in Metapedia, the so-called alternative encyclopedia if you look for the non-existing keyword “holocaust”? 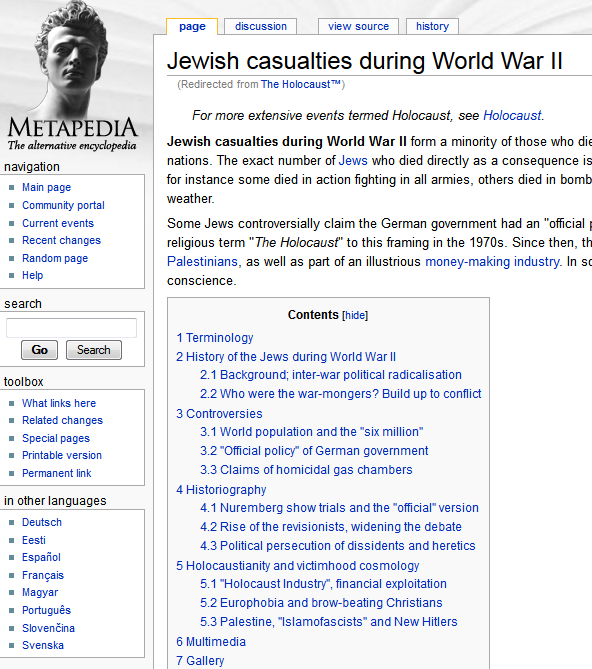 Metapedians redirected t he keyword “holocaust” -nothing to read about in a specific entry- to another Metapedia entry called “Jewish casualties during World War II” avoiding the use of what they call a useless and mystifying buzzword, the Holocaust of the Jews. Digital Public Historians are present in other countries and monitoring this “negationist web” which engages -systematically in the case of Metapedia- in rewriting the past, all the past and supports nationalistic, fascist and Neo-Nazi ideologies. These holocaust deniers are using the web from many years now. They have embraced the web as their elected media to communicate a false narrative of many pasts in the Metapedia, not only about the Holocaust, and remove memories and evidences of scientific historical research from the web, when these results are not supporting their goals. These political propagandists are using the architecture and stylistic presentation of Wikipedia together with the so-called “objective way to present facts” that Wikipedia has promoted from its creation in 2001 to give a semblance of truth to their discourses and misuses of memories. Negationism in the digital realm was one of the central issue of this discussion. Georgi Verbeeck, Professor of German History at the University of Leuven, “…reflecting on the continuing problem of Holocaust negationism, arrived at a nuanced assessment of the efficacy of current research and educational practices to prevent similar atrocities from re-occurring. Many small narratives of concrete experiences may provide powerful mirrors that can spur individuals to effective responses and positive actions….” What is important to quote from Verbeeck’s speech about how to use and promote the sources and memories of the Shoah in the digital realm, reflects on the fact that “the web is particularly suited to organise and publish […] small narratives“. We may hope that the Rome conference in April 2014 will engage with the later issues dealing with in the making digital public history of the Holocaust. Measuring the presence of contemporary history in the web, the use and misuses of history in the digital realm, was the aim of a project started at the end of the 20th century between 1999 and 2000 in Italy. The results were published by the IBC (Istituto per I beni Artistici, Culturali e Naturali dell’Emilia Romagna) in Bologna, in 2004, after three years of researches done by an interdisciplinary team of historians and public historians which looked at the Italian history web and collected Italian contemporary history web sites and proposed a critical method for analyzing them systematically. The project and the book were coordinated by Antonino Criscione, Serge Noiret, Carlo Spagnolo and Stefano Vitali: La Storia a(l) tempo di Internet: indagine sui siti italiani di storia contemporanea, (2001-2003)., Bologna, Pátron editore, 2004. The authors verified that an active revisionist narrative was populating the web and promoting alternative memories of WW2. Memories of the militias of the Salo Republic, allied with the Nazi between 1943 and 1945 and co-authors with the Germans of the deportation of Italian Jews, was finding a media and a place to proliferate without boundaries, these boundaries that Italian academic historians and European public historians are now discussing. The web is easily accessible for everybody to produce its own vision of the past and is able to promote and diffuse alternative memories, something that I have explained in my essay in French, La digital history : histoire et mémoire à la portée de tous. So, the important conference in Rome will go forward in an extended academic reflection dealing with how the web could be used and misused to promote everybody’s memory and vision of the past and contrast hate speech and holocaust deniers activities in the digital realm. La trasmissione della Shoah nell’era virtuale: una deriva della lezione su Auschwitz? Contro il negazionismo: Una legge utile o dannosa? *O nosso blog – Historiografia na Rede – está entre as fontes citadas para História Digital hispanoamericana. Agradecemos aos colegas colombianos pela referência e nos colocamos à disposição para a troca de informações e o fortalecimento da rede. Continue lendo o texto diretamente nos Anais do XV Encontro de História da ANPUH-RIO. Entre a suástica e a palmatória: História Material, Oral, Cultural, Digital e Pública! A Revista de História da Biblioteca Nacional (RHBN) acaba de lançar o vídeo “Entre a suástica e a palmatória” que transforma o tema da tese de doutorado do historiador Sidney Aguilar Filho em 22 minutos de uma belíssima apresentação histórica sobre a presença de simbologias e práticas de inspiração nazista em uma fazenda no interior do estado de São Paulo, antes da Segunda Guerra Mundial. Atenção: Não se trata de um docudrama (como aqueles interessantes também, criados pela TV Brasil sobre História do Brasil). O vídeo não é um documentário, um longa ou um curta. Chamaram-no de “reportagem em vídeo” e talvez este termo seja mesmo o mais próximo de uma boa definição: uma reportagem sobre um tema histórico. É verdade que estamos bastante familiarizados com o recurso aos fatos históricos em reportagens televisivas e de jornais ou revista impressos, afinal, a história, sobretudo quando se apela para as “testemunhas [oculares] incontestáveis”, ainda é um dos mais recorrentes argumentos de autoridade que, fora da academia, mobiliza e convence, sem mais chorumelas. O que me chama atenção neste vídeo, entretanto, é a iniciativa da RHBN em utilizar o gênero jornalístico “reportagem” para tratar de um assunto que não ocorreu recentemente, não está em alta na mídia e nem foi recuperado em função de alguma data comemorativa. A descoberta realizada pela tese de Aguilar – “Educação, Autoritarismo e Eugenia: Exploração do trabalho e violência à infância desamparada no Brasil (1930-45)” – poderia cair no esquecimento dos arquivos da Unicamp antes mesmo de ser, de alguma maneira, divulgada para o grande público. O serviço que nos presta a RHBN com tal reportagem é não só de comunicar aos pares, em um formato bem realizado, a novidade da pesquisa, mas de oferecer à comunidade historiadora a chance de sair dos claustros da academia e tornar público o fruto de um árduo trabalho. O trabalho com história oral e material que imagino ter sido realizado por Aguilar apresenta, me parece, características que já torna seu resultado mais palatável ao grande público (que insisto em não chamar de leigo): as vulgas “evidências concretas”, para além dos documentos – um tijolo, uma testemunha ocular! A junção destas características ao empenho da RHBN, às tecnologias e aos recursos humanos necessários para criar esta “história visual” e às novas mídias que possibilitaram sua divulgação na grande esfera pública virtual (Web! Youtube…e o céu é o limite) me parece um belíssimo exemplo de História Digital e Pública. Façamos bom proveito. Parabéns Sidney Aguilar Filho pela pesquisa e cumprimentos também à RHBN e aos envolvidos na produção do vídeo pela ótima iniciativa.